Before teaching himself the art of photography, Pygmalion Karatzas was a freelance architect for over 10 years. His images have been featured in numerous fine art and architectural publications and in recent exhibitions including Misty Landscapes in Athens and Points of View in Rome. Pygmalion has also won the Architizer A+, Sony World Photography Organisation International Photography Awards, Spider Black & White Awards. In 2015 he was awarded the Fulbright Artist Scholarship for a five-month architectural photography project in ten cities of the U.S. He also collaborates with the Danish Architecture Centre and works as a photo editor of arcspace.com as well as carrying out his on-going research working towards an integral approach to architecture, sustainability and art. 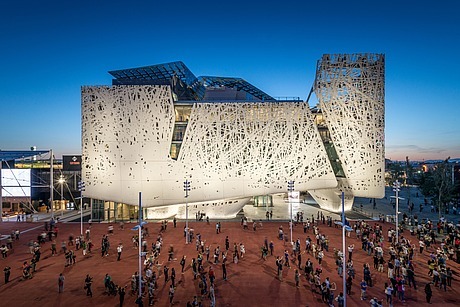 Pygmalion chose for his profile picture a shot of the exterior view at dusk of the Italy Pavilion at the Expo 2015 Milano Italy by architects Nemesi & Partners.